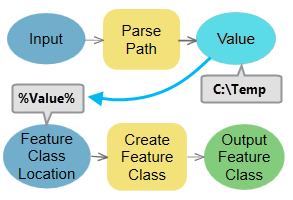 The Parse Path tool parses the input into its file, path, name, or extension. The output can be used as inline variable in the output name of other tools. This is a deprecated tool. This functionality has been replaced by the new Parse Path tool. Input values that you want to parse.